What will you discover on Scottish Indexes? Our family history indexes can help you unlock your past and discover your Scottish heritage. Visit our Learning Zone to discover hints and tips from our professional Scottish genealogists and discover new family history resources. Search our historical records to trace your Scottish genealogy and use our share features to collaborate with other researchers. If you have a question at any stage just contact us by email, join us on Facebook or visit our help section. 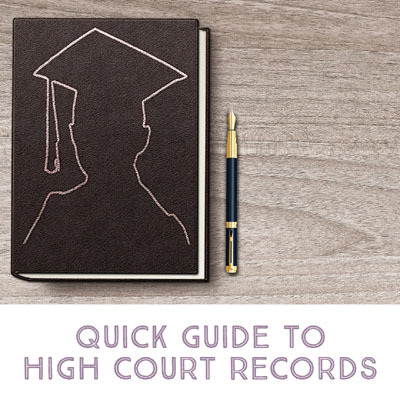 This month we are featuring Scottish High Court records. Not only can these records help you trace your family history but they can also add detail to your family history. To know your ancestor was in prison is one thing, but to know why and read their statement makes your family history live! 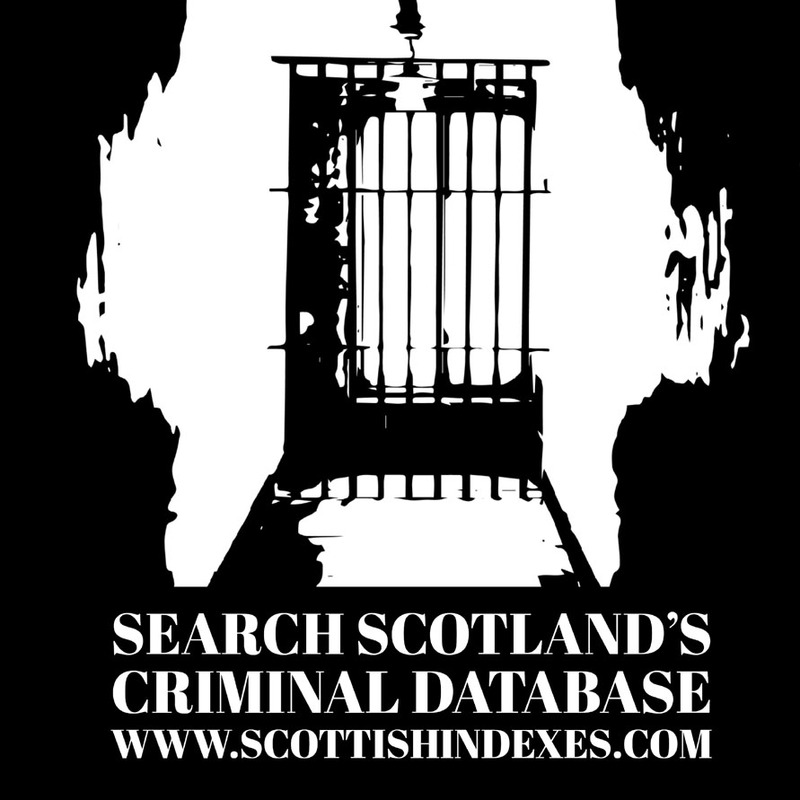 You can search over 133,000 High Court records within our collection, Scotland’s Criminal Database. This index includes not just the accused but victims too. The High Court of Justiciary (the High Court) is the highest Scottish criminal court, and it deals with the most serious crimes such as murder or treason. The High Court also heard cases of repeat offenders of more minor crimes heard in lower courts such as the Sheriff Court or the Justice of the Peace Court. Our experienced researchers, Graham and Emma Maxwell, can help you access these records. You can also use our free index to find the reference, visit the National Records of Scotland and look at the record yourself. Find out more about these amazing records in our Learning Zone, or jump straight in and start searching for your Scottish criminal ancestors. This update has added paternity cases from Stornoway Sheriff Court Decrees from 1829-1834 & 1849-1919, and Stornoway Sheriff Court Processes from 1860-1917. Remember that spellings in historical records can vary widely, so use wildcards to help you find your ancestors. See our help page for more information.